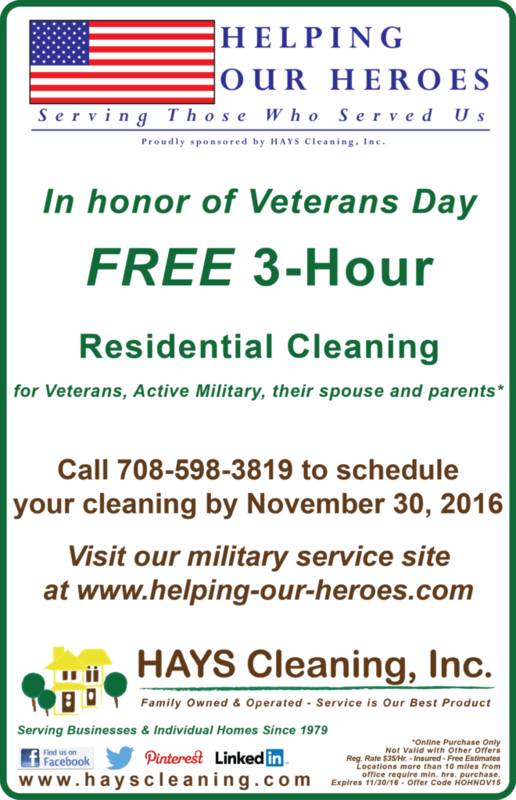 This entry was posted in Discounts, Helping Our Heroes, News, Promotions by HAYS Cleaning. Bookmark the permalink. How very sweet of you to do this. God bless you and see you through any challenges. I like your promotions and how you give back to veterans. You have inspired me to offer similar deals to local customers in my area. Keep up the good work, and thank you for your sacrificed and service to our Country!